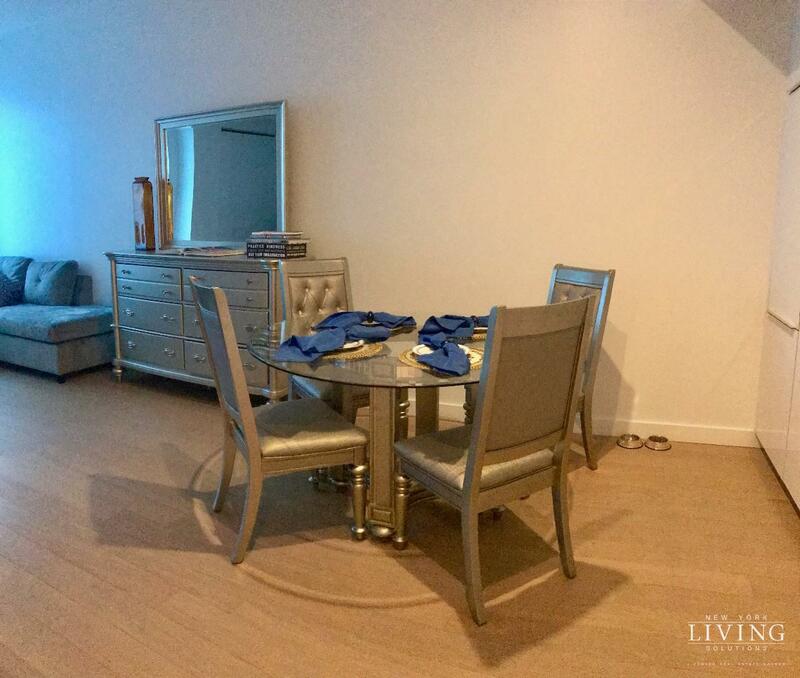 LARGE ALCOVE FURNISHED STUDIO-LUXURY BUILDING-GYM-POOL-LOUNGE-ROOFTOP! Immaculate studio available for January 30th-December 1st. Beautiful brand new renovation, Brand New Building!! Washer and Dryer in the unit! Gas and Hot Water are included in rent! Designed by Cetra Ruddy, 180 Water offers residences that provide a new angle on luxury living, with 10' ceilings, oversized picture frame windows, stripped wood flooring and kitchens with custom paneled appliances and marble counters. Featuring high quality design, extraordinary amenities, upscale services and a central downtown location, 180 Water inspires residents to shift their perspective on rental living, without compromising a single thing they desire in a home. The 180 Club offers the kinds of amenities and services usually reserved for the most desirable properties. A dramatic 18' lobby with striking fireplace, 24-hour concierge, and valet service set the scene for a warm welcome home. The beautiful rooftop pool is the ultimate luxury amenity - a great place to socialize, unwind and cool off. The residents lounge, reservable entertaining kitchen and dining room, gaming area, Techno-Gym outfitted fitness center and yoga studio feature panoramic views of lower Manhattan and beyond.